The Apple Watch has essentially sported the same look since its debut, save for a couple millimeters in thickness and the addition of a red dot. Reliable KGI Securities analyst Ming-Chi Kuo had said a new-look Apple Watch was on the horizon, and now we have some backup. 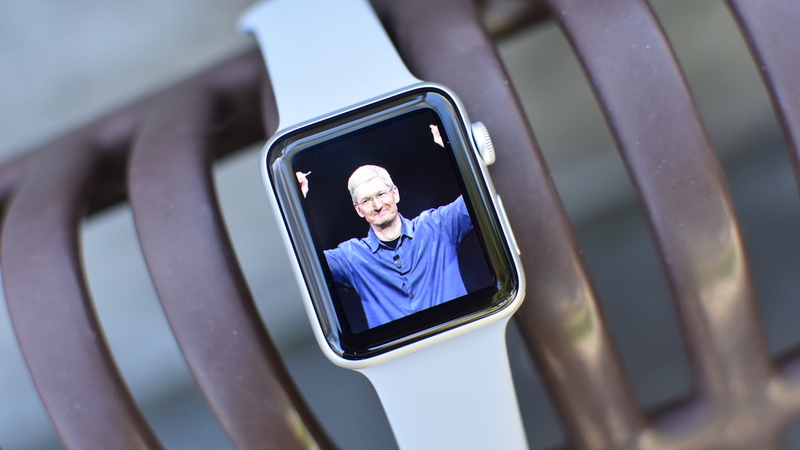 Bloomberg is reporting that Apple is working on two new Apple Watches for later this year. The new Watches will include slightly larger, edge-to-edge displays. Less bezel has been on a trend on Apple devices recently, so it's no surprise to see it make the jump to the wrist. If you've got a large collection of bands, you shouldn't worry. The new Apple Watches will still be compatible with all those bands you've purchased. It's unclear whether the Series 4 will be thinner or lighter, or how much its general shape will change. It's likely the same square with rounded corners will be around, so don't expect anything too drastic. Bloomberg also says there'll be two new Apple Watches this year. It's likely the two new models are the 38mm and 42mm editions we've seen since the beginning. While it's easy to get worked up and think Apple might debut a new rugged Apple Watch model, or a health-focused Apple Watch model, we should take a step back. Apple already has a myriad of Apple Watch versions. There's the aluminum, the stainless steel, the white ceramic, the Nike+, and the Hermès. That's a total of five. What they all have in common is that they're available in two sizes: 38mm and 42mm. Apple's Worldwide Developer Conference is just around the corner, and while there's no word on what we can expect from watchOS, ARKit is getting a major upgrade that will allow you to play AR games with friends in the same space and the ability to drop objects in AR and have them stay there when you return later. Both of these are important roadblocks for ARKit to hit before Apple gets its AR smartglasses up and running in 2020.